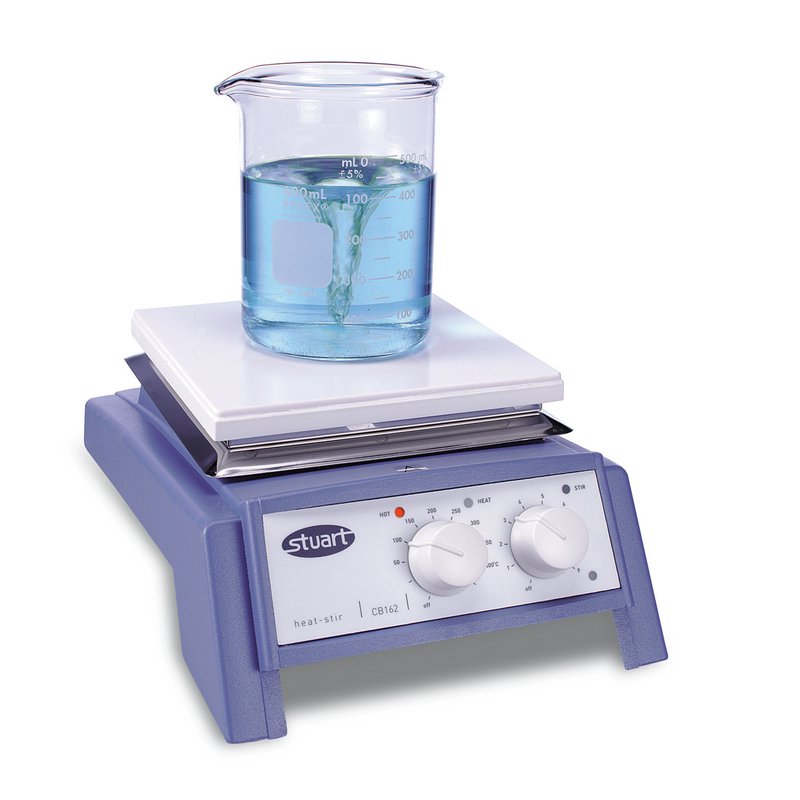 Stylish and economical general purpose stirrer hotplates designed with safety as well as performance in mind. The cast aluminium body is shaped for stability and helps deflect spills away from the controls and the user. Independent safety circuit prevents overheating in the event of control failure and internal electronic components are protected against corrosion. Powerful magnets and motor give stirring speed up to 1500rpm and volumes up to 15 litres. Model CB162 has a glass ceramic top which has excellent chemical and temperature resistance. The surface is easy to clean and the thermal properties allow very high plate temperatures while ensuring the edges stay cooler, reducing the chance of accidental burns. The white surface ensures good visibility of colour changes. Model SB162 has a robust aluminium/silicon alloy top plate for good heat transmission. 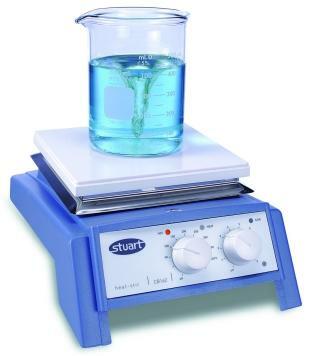 A 700W element gives rapid heating and ensures even temperature distribution across the whole of the plate. Fitting for retort rod and supplied with 2 x 25mm PTFE coated stir bars.